Milk quality, mastitis and udder health researchers, dairy producers and dairy industry partners gathered for the 58thNational Mastitis Council (NMC) Annual Meeting, held Jan. 29-Feb. 1, in Savannah, Ga. Topics discussed ranged from the milk microbiome to disease outbreaks linked to raw milk to antimicrobial residue risks to genetic selection for udder health. NMC recognized several milk quality experts during its annual meeting. Andrew Johnson, Grande Cheese Company herd health and wellness veterinarian, received the NMC Award of Excellence for Contribution to Mastitis Prevention and Control. The 2003 NMC president, he chaired the NMC Milking Machine Committee and co-authored the globally recognized standard for milking system functional analysis, “National Mastitis Council’s Airflow Guidelines for System Analysis.” In the early 1990s, he helped launch NMC’s highly successful short courses and continues to serve as an instructor. 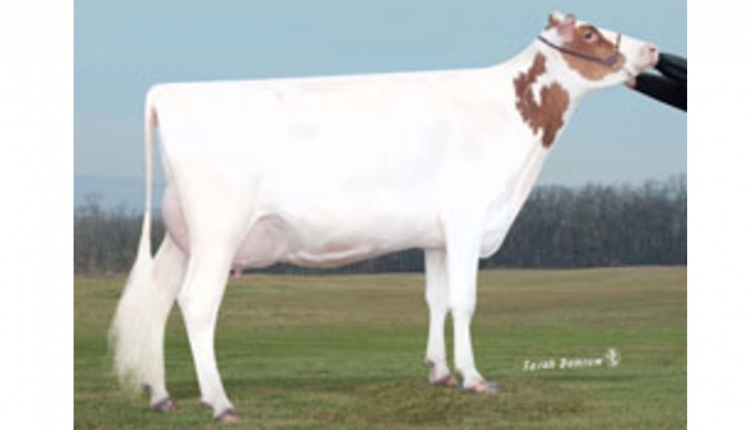 A popular milk quality and mammary health speaker, Johnson has presented practical and applied workshops and lectures in 45 states and 26 countries over his storied career. In the National Dairy Quality Awards program, NMC honored six dairy operations as Platinum winners. These top quality milk producers included Cottonwood Dairy (Jim Winn and Brian and Randy Larson), South Wayne, Wis.; Mil-View Jerseys (David and Mark Miller), Millersburg, Ohio; RKB Dairy (Randy and Kathleen Bauer), Faribault, Minn.; Rock Solid Dairy LLC (Zane and Juanita Garber), Shippensburg, Pa.; United Dreams Dairy LLC (Tim and Lisa Evert, Rick and Ronda Lehman, Jeff Evert and Michael Nieman), North Freedom, Wis.; and University of Wisconsin Marshfield Agricultural Research Station, Stratford, Wis. Judges selected outstanding dairies to receive this honor based on quality milk production indicators, such as somatic cell count and bacteria count, along with milking routine, systems of monitoring udder health, treatment protocols and strategies for overall herd health and welfare. NMC awarded travel scholarships to four outstanding graduate students to attend the NMC Annual Meeting. This year’s NMC Scholars were Saranya Narayana, University of Calgary; Savannah Basham, Auburn University; Ameline Wuytack, Ghent University; and Zhaoju Deng, Utrecht University. The NMC Scholars program fosters the development of mastitis research and milk quality professionals from around the world. NMC capitalized on last year’s successful inaugural 5K Fun Run/Walk and the second event was held along the Savannah riverfront. More than 50 people participated in this event. The run/walk, along with the silent auction, raised more than $4,000 for the NMC Scholars fund. NMC thanks its annual meeting sponsors who contributed to the program’s success. Diamond sponsors were Acumen Detection, LLC, AgriLabs, Boehringer Ingelheim, GEA, Merck Animal Health and Zoetis. Platinum sponsors were Ambic Equipment Limited, DeLaval, Inc., Ecolab, Inc., HIPRA and Land O’Lakes, Inc. Gold sponsors included Alltech, Dairy Farmers of America, FERA Diagnostics and Biologicals and Kersia. Silver sponsors were ABS Global, Inc., Afimilk, BouMatic, Fight Bac/Deep Valley Farm, Inc., Foremost Farms USA, Michigan Milk Producers Association, Phibro Animal Health Corporation, PortaCheck, Inc. and Udder Tech. Sponsoring this year’s milk breaks were Georgia Agriculture Commodity Commission for Milk and Georgia Milk Producers, Inc. The 5K Fun Run/Walk sponsors included Christian Hill Dairy, Gardner & Gardner Communications and Udder Health Systems. During the NMC annual business meeting, new members elected to the NMC board of directors include Justine Britten, Udder Health Systems, Providence, Utah; Juan Pedraza, Zoetis, Lubbock, Texas; and Brandon Treichler, Select Milk Producers, Canyon, Texas. Executive committee members are: Jason Lombard, U.S. Department of Agriculture Veterinary Services, Fort Collins, Colo., president; Sarne De Vliegher, Ghent University, Merelbeke, Belgium, first vice president; Patrick Christian, Christian Hill Dairy, Mayville, Wis., second vice president; and Linda Tikofsky, Boehringer Ingelheim, Trumansburg, N.Y., secretary-treasurer. Other board members include: Keith Engel, GEA, Madison, Wis.; Steve Lehman, Michigan Milk Producers Association, Novi, Mich.; Marcos Munoz, University of Concepcion, Chile; Roger Thomson, MQ-IQ Consulting LLC, Battle Creek, Mich.; David Kelton, University of Guelph, Guelph, Ont., Canada (past president); Lowell “Jim” Davenport, Tollgate Holsteins, Ancramdale, N.Y.; Alfonso Lago, DairyExperts, Inc., Tulare, Calif.; and Elizabeth Berry, Animax, Hereford, United Kingdom. Mario Lopez, DeLaval, Kansas City, Mo. ; Joe Gillespie, Gillespie Veterinary Service PC, McCook, Neb. ; and Kevin Anderson, North Carolina State University, Raleigh, N.C.; retired from the board. The 59th NMC Annual Meeting is set for Jan. 28-31, 2020, in Orlando, Fla. For additional information, go to: www.nmconline.org.